Designed for the day to day operation and protection of your property or site, with the convenience that allows you to retract them into the ground when not in use or to allow access. When raised and locked they block/secure your property or site from unwanted guest or ram raids. Retractable bollards have a sleeve that is set below ground and into concrete and contains the retractable bollard that is raised or lowered to suit your security/access requirements. The R1 Retractable Bollard is an economical medium security, fully retractable bollard. To operate you simply turn the key and lower the bollard into its sleeve below the surface to allow day to day access to property or a site. When you wish to lock/secure your property or site you simply raise andthe bollard automatically locks and latches in place. 100OD x550mm high, round bollard. High Quality plastic/powder coated finish. 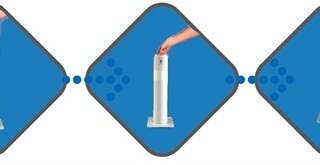 The R2 Retractable Bollard, is a premium high security, fully retractable bollard. To operate you simply press the latch button and lower the bollard into its sleeve below the surface to allow day to day access to property or a site. Bollard can be left un-locked and fully raised and lowered, without the use of the key for your convenience. When you wish to lock/secure your property or site you raise the bollard and key lock in place. 100 OD x650 or 800mm high round bollard. Weight assisted, you lift only 1kg. Stainless steel with polished aluminium cap. Please enquire to our friendly sales staff for details. © Copyright 2019 Westlock Security | Website Design: by Searchsmart.